Over the past 21 years, we have received numerous referrals from countless homeowners who have helped make our business successful. In appreciation, we would like to thank our customers for their loyalty by creating the Referral Rewards Program. 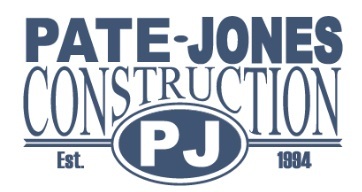 Refer a friend or family member to Pate-Jones Construction. Send in a Referral Rewards form BEFORE your referral signs a contract for their home. Receive a $500 VISA Gift Card upon closing of the home! PLEASE NOTE: Form must be submitted before initial sales contract is signed in order to receive Referral Rewards.You must be a past homeowner or currently under contract with Pate-Jones Construction to be eligible to receive Referral Rewards. Upon closing the referral will be processed and the Gift Card will be distributed.